Our attorneys are trained to win. But your "win" may not be same as the next client, so our attorneys are trained to first listen to our clients and define success together. Here's how we find your win. First, at our firm, we select only honest and committed clients facing legitimate workplace injustices. We carefully screen both employees and businesses, choosing only those who genuinely need our services. 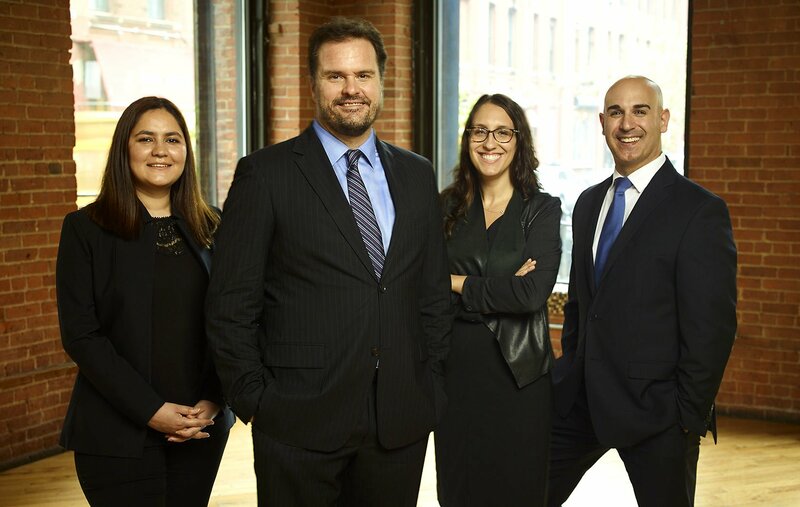 Second, our attorneys invest all of the firm’s resources in you, our client. We motivate you to reach your goal without regard for the firm’s interests. Sometimes, we get paid nothing to represent our clients. Many other times, our attorneys provide free consultations. The larger picture and purpose is more important for our firm — to find the right clients and get behind them without reservation. Third, our team implements the “progress principle” in our representations. Research shows that when employees are making progress toward a meaningful goal, they are the most content and driven. If both employer and employee agree on a common significant objective, the process of regularly measuring small wins and surviving setbacks is powerfully motivating. We apply this motivating principle in our representations by assisting our clients in defining their own destiny, taking control of their own workplace problems, and finding their working solutions. In this way, we give our clients what the working relationship never gave them — a fair chance to control their own fate. Unfortunately, employees and employers who approach our firm are often stuck in a rut. Many employers are saddled with an employee who rebelliously refuses to follow the rules, proverbially throwing a wrench in the machinery of the operation, slowing or stopping progress, and needlessly causing conflict. Employees who come to us are the flip side of the same coin — with employers making it impossible for anyone to perform, let alone make or measure progress. Often these employers are failing to pay required wages, discriminating or retaliating against their employees, or refusing to honor contracts or agreements. Our firm partners with clients to define a workable solution for their workplace problems and make progress towards the goal of ending their own workplace problems. Our clients gain a fair path towards a meaningful outcome. Once we reach agreement on your particular working solution, not only do we invest in you, we invest in your progress towards meaningful solutions. Your solutions. So, whether you are a Fortune 500 company, a hand-to-mouth start up, an investment banker or a short-order cook, we represent genuine clients with genuine concerns. We not only drive you to win, we invest in your progress in day-to-day, finding and celebrating small victories. This distinguishes us as lawyers — we listen, we care, and we win for you, not for us.